The Innevation Center is hosting their January 2015 CommunityCation event on Thursday, January 29, 2015 at 11:30 AM. For this month’s event, VCE’s Jay Cuthrell will be speaking. Jay Cuthrell is a managing principal consultant within the Office of the Chief Technology Officer (OCTO) at VCE, an EMC Federation Company with investments from Cisco and VMware, and he is a frequent industry speaker. Jay Cuthrell says his role within VCE is within the Office of the CTO. 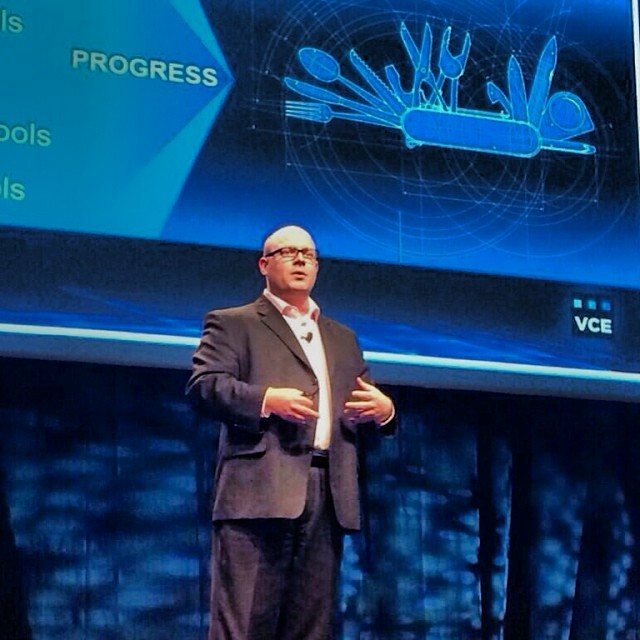 Each day, Jay Cuthrell says he is reading and consuming technology roadmaps from VCE’s investor companies and helping shape the strategic technology futures for VCE’s next generation products, services, and solutions. “Best of all, I get to work with super smart people from around the world that have worked with all types, sizes, speeds, and qualities of data over many years,” he said. In his previous role a strategic technology consultant with cuthrell.com, he worked with service providers, startup companies, and investment groups in addition to writing for ReadWrite and Telecompetitor. He has held CTO, VP, and GM roles at Digitel and NeoNova (formerly an Azure Capital and Bridgescale Partners portfolio company now a NRTC Company) and infrastructure consulting roles working domestically and internationally for Fortune 500 clients. He also served at Scient (formerly iXL now Publicis), Nortel, Analysts International, IBM, and NCSU College of Engineering. He holds a BS in Materials Science and Engineering from North Carolina State University and grew up in Beaufort, NC. The January CommunityCation event will be centered around Big Data. He says that while not everyone is a data scientist focused on creating a data lake, the challenges and connotations of big data are increasingly impacting both developers and the people that participate in growing pools of information. “The articles provokes some of the conversation topics the startups in Las Vegas might appreciate and engage in for 2015 and beyond,” he said. For those with an interest in big data, head to The Innevation Center to catch the January 2015 CommunityCation event. Get more details here.